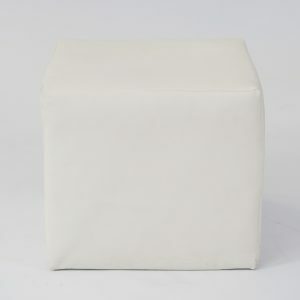 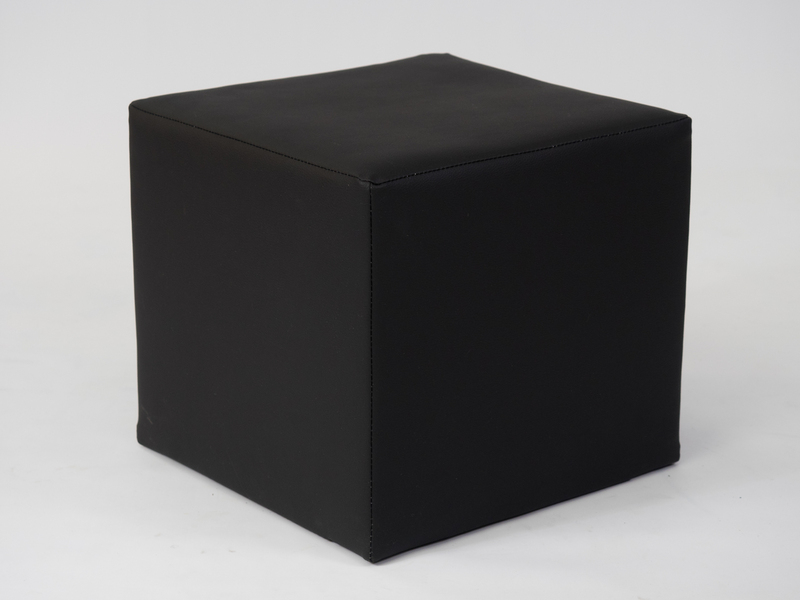 This Club Ottoman is a black cube seat covered in faux leather. 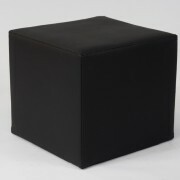 Click here for other ottoman styles and colours. 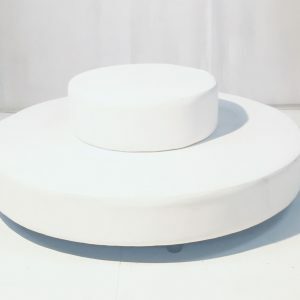 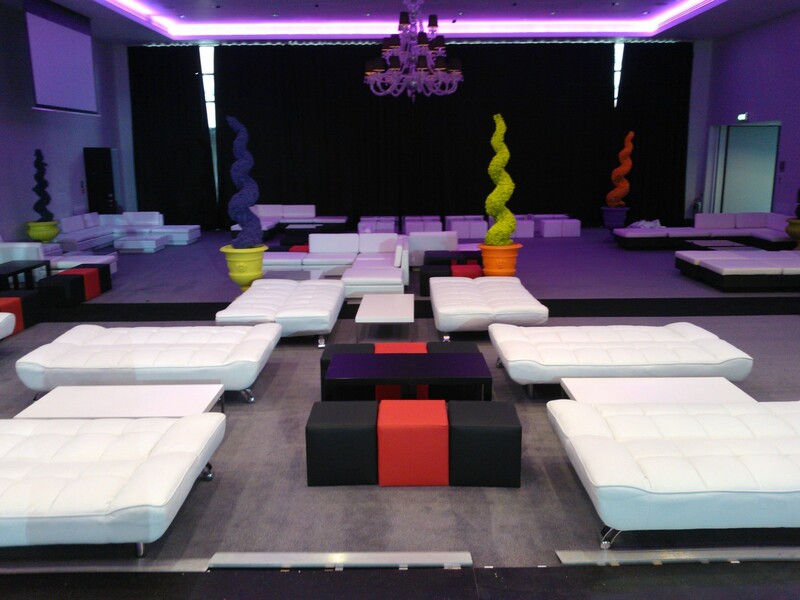 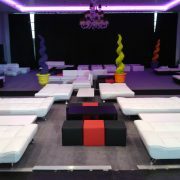 Use Club Ottomans to provide additional seating in an easy stylish way for a wedding, party, or corporate event. 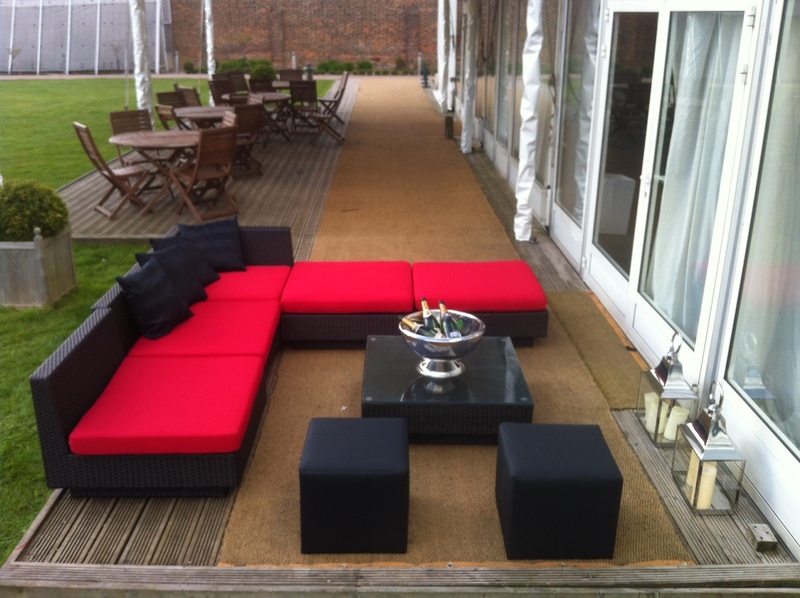 Guests or delegates can easily move them around as they are light in weight. 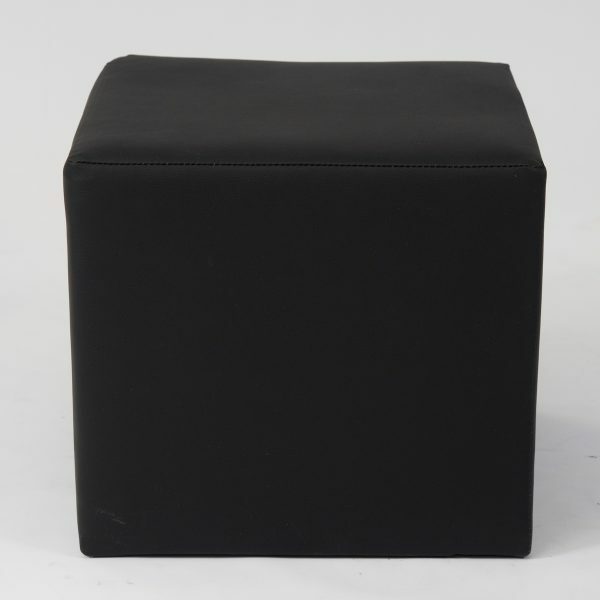 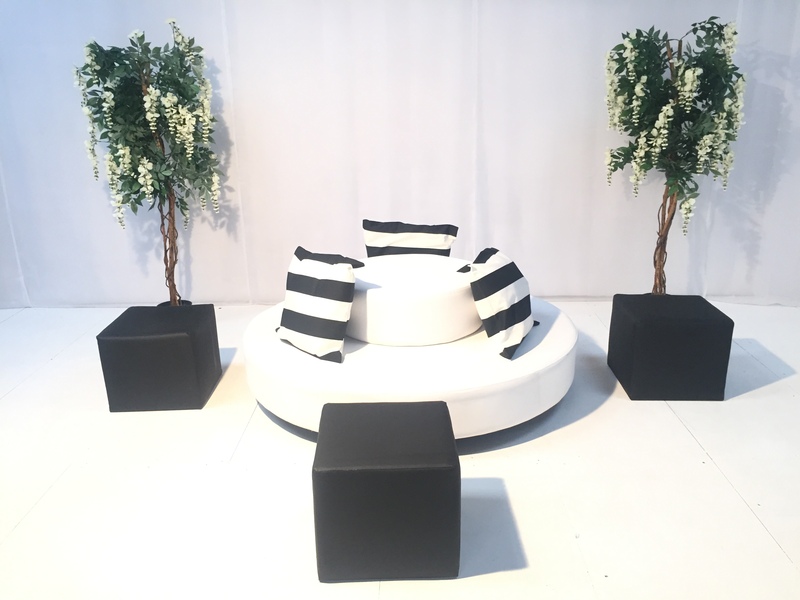 Hire the black Club Ottoman with virtually anything and everything! 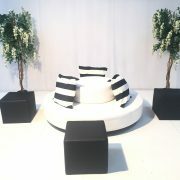 Black can add depth to most colour schemes. 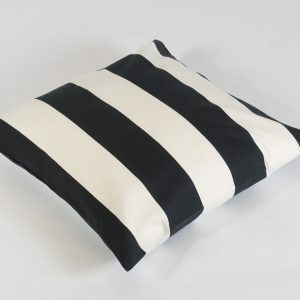 Chosen a black and white monochrome theme? 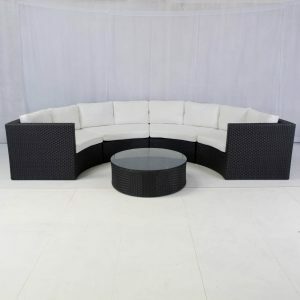 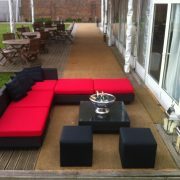 Place contrasting black and white cube seats alongside our black rattan sofas, such as the Marrakesh, or Bulgari. 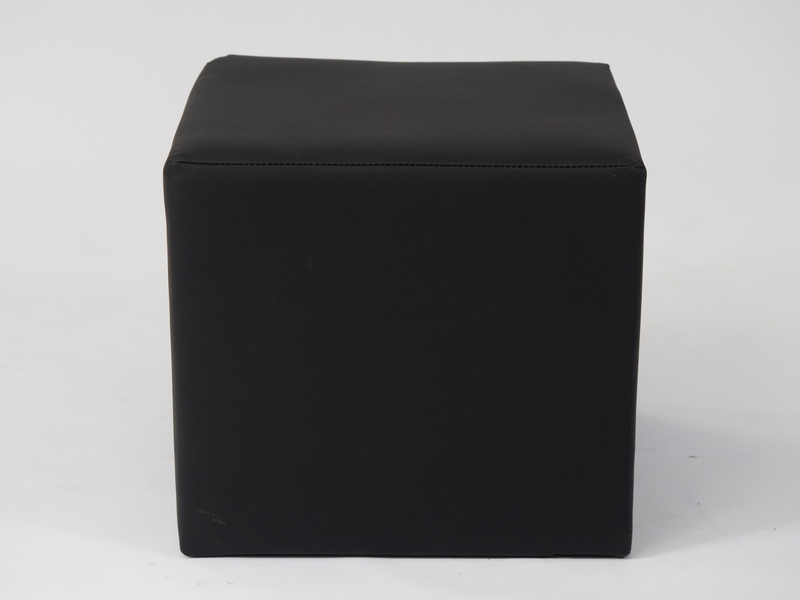 For versatile additional seating, add some Black Club Ottomans to your quote today!